So you’ve got a great website, you’re in a good industry, a great product and excellent customer service. But one things missing. You don’t get and customers (or very few) from Google. There could be multiple issues holding you back but the good news is is that you can identify them and fix them for good. It may take a while but here’s where to start looking. It’s amazing how often I see this and hopefully it’s just an oversight by the web developer (albeit a costly one). Your website is built or updated and it’s been left in a no index mode, in other words, your site won’t be in Google. E.g. sites build with free website builder tools like Google Sites, Weebly, Wix or some other drag and drop builder. And a site with poor engagement won’t rank well. Also, if it’s hard for users of your site to find what they need, it’s likely that Google will have the same problem. Make everything less than 3 clicks from the homepage and keep the layout easy and simple. Do you have enough links compared to your competitors? Are they from relevant sites or spammy sites? Is the link anchor text diversified? Do you promise the world but don’t deliver? Do people get to your site and click away because there’s no information on it? Especially important for local businesses and businesses who operate in a specified geography. Google want to show search results for people in a certain location. So it makes sense to let Google know exactly which area your business serves. Filling out your Google my business page fully will go a log way to helping you rank for local search terms such as ‘your service brisbane’ etc. The Google map listing itself can bring in a lot of good traffic so make sure you have plenty of reviews in there by setting up a system in your business to get such reviews. A lot of SEO providers still haven’t moved of from using automation tools to do their work. And as a result, they get their client’s sites into a real mess by getting penalised by Google. Usually in this case, we have to make a decision to either start again on new domain or disavow all the links and wait for the shackles to be lifted. So the take way is just make the one site, structure it intelligently for all your services and put great content all in the one place. 11. You Might be Getting Traffic! Are you sure there aren’t people coming to the site? Have you installed Google analytics that tells you how much traffic you have? You may be getting some traffic but people aren’t contacting you for many reasons – does the content put them off? Does your site give the impression of an unreliable business? Have you got bad reviews? Is it hard to find your contact details? Is your USP (unique selling proposition) unclear? Is your pricing too expensive? 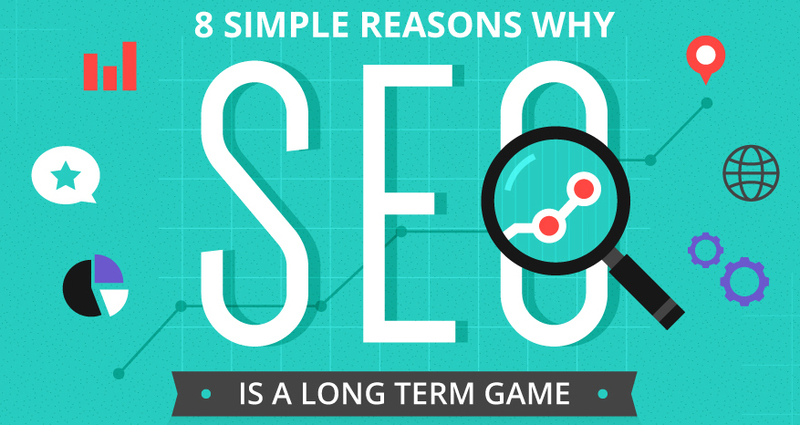 There’s a lot of reasons why you may not being getting traffic from Google. But it’s important to know the cause otherwise you’ll spend a lot of time and money fixing something that may not be broken. My free SEO audit service will tell you exactly why you’re not getting traffic to your site. You can get your free SEO audit by me here. To share this infographic on your site, copy and paste the below code. If you need more traffic from Google, then you need an specialised SEO person in your team.Feel free to contact me any time on issues such as:"We rank OK but want to rank better". "We don't show up anywhere in Google!" "We used to get enquiries from Google but haven't been for a while". "We've had a website built and we need it to show up in the search results”.My services include keyword and competitor research, on page SEO, off page link building, local SEO and content strategy. If you'd like me to have a look at your website and rankings, please contact me on 1300 303 810 or email will@willmullins.com.au.